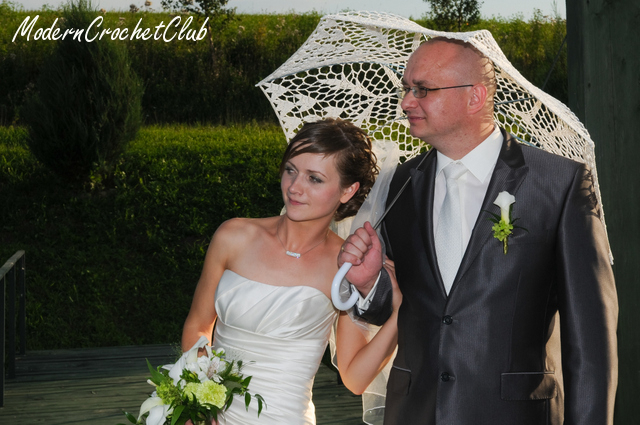 Now they are celebrating the second anniversary with the same smile and happiness 🙂 Love you guys! 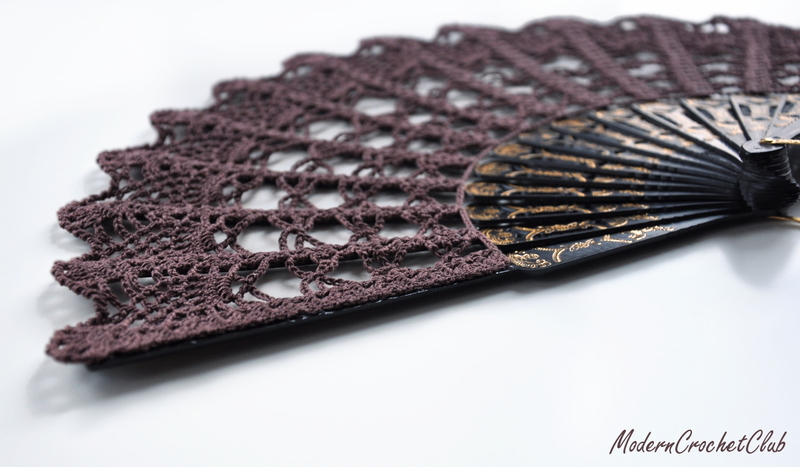 Few days ago I finished a new hand fan, and again, the newest one is my favourite one 🙂 This one is in gold, but not as the previous with white, but with black handle. 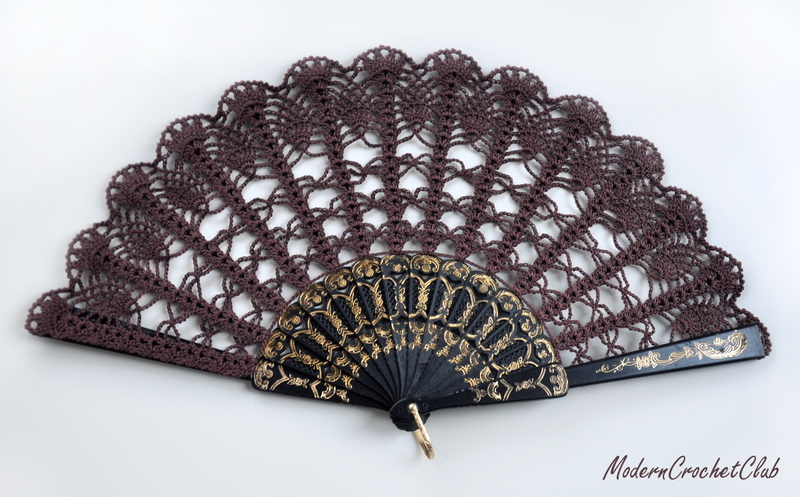 It was made for an Australian bride Katie, who will be wearing a deep red dress and this hand fan, while her bridesmaid will be in gold, and will have another fan in red. It have to be very elegant and I am really curious of the final look. Specialy with the beautiful dresses, which I saw as a sketches. Now I have to be realy patient, as the Katie was :), to maybe see this whole in action in September. This red one I already made a couple of times. Remember about a GIVEAWAY from the previous post. There are not many competitors in the draw, so you have a big chance to win it if you sign in right now on Facebook. I made some sparkling sandals for this summer. They are really eye catching while your feet are sinking in the sand on the sunny beach. 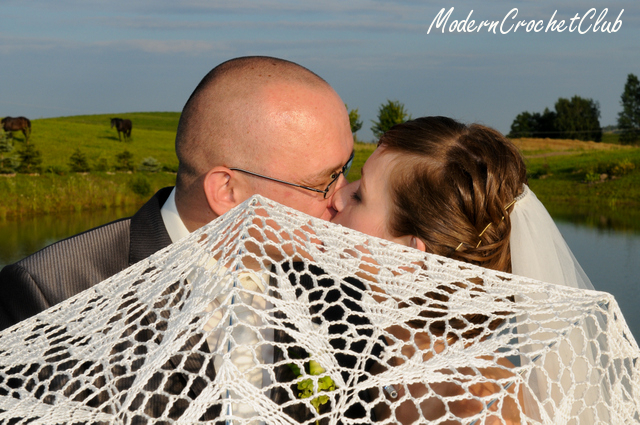 They are all white, so can be perfect for your beach wedding. I used very thin white mercerized cotton, so they are really comfortable and you don’t even feel while wearing them. I also used some glass beads and some Swarovski crystals to give them some glam 🙂 Beads are not sew on, but woven into the stitches while crocheting. That prevents them from falling off in use. What do you think about this sparkling sandals? Do you like them more or less then the one without beads? You know what? I just thought, that you can get one of them 🙂 Just like ModernCrochetClub facebook page (you can do it on the right blog bar or through http://www.facebook.com/ModernCrochetClub), leave a comment under the post letting me know which one do you like the most “Precious Heart”, “Precious Flower” or “Simple Swarovski”. Feel free to share it to your friends 🙂 You can do that till June 30th. I’ll draw a winner in first days of July and she/he will recieve a pair of her/his favourite bead sandals from this post. I don’t like gold, I prefer silver. 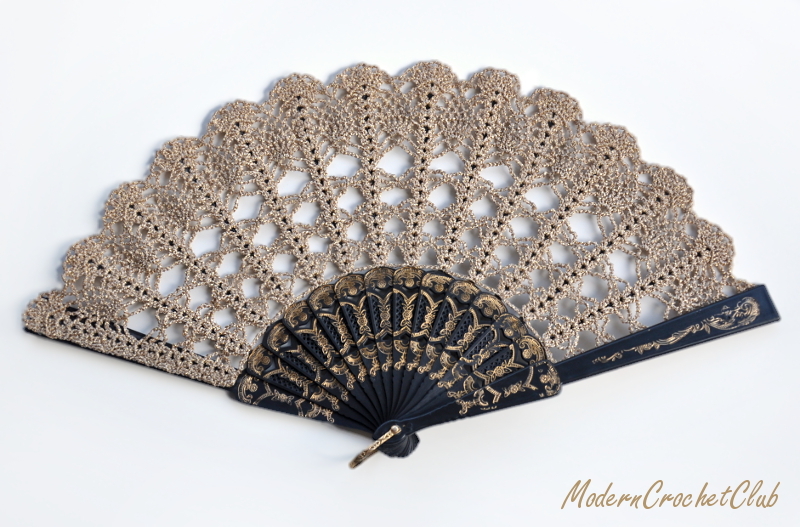 I wasn’t very happy when I was asked to make a gold hand fan, but it turned out beautiful. All my fears and prejudice disappeared and I was very proud of him. 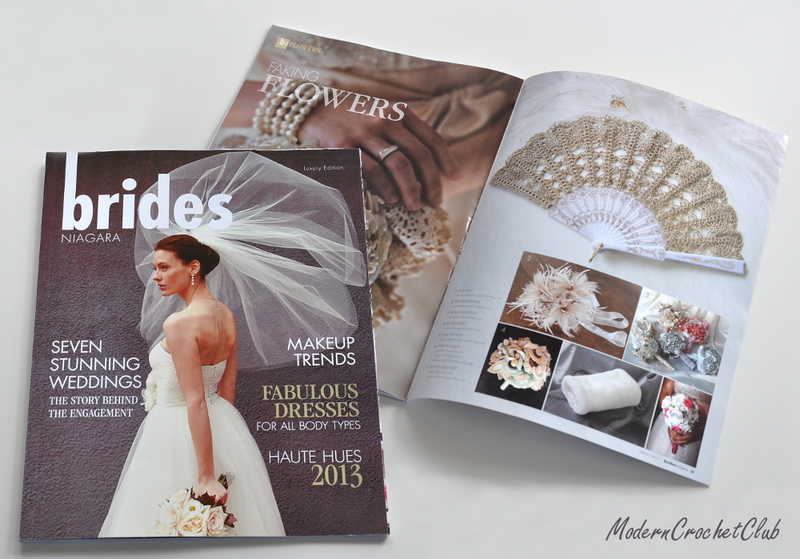 A couple of months ago Rachel Mowat, who runs a wedding magazine in the Niagara Region of Ontario Canada, asked me to send her some photos of this hand fan. 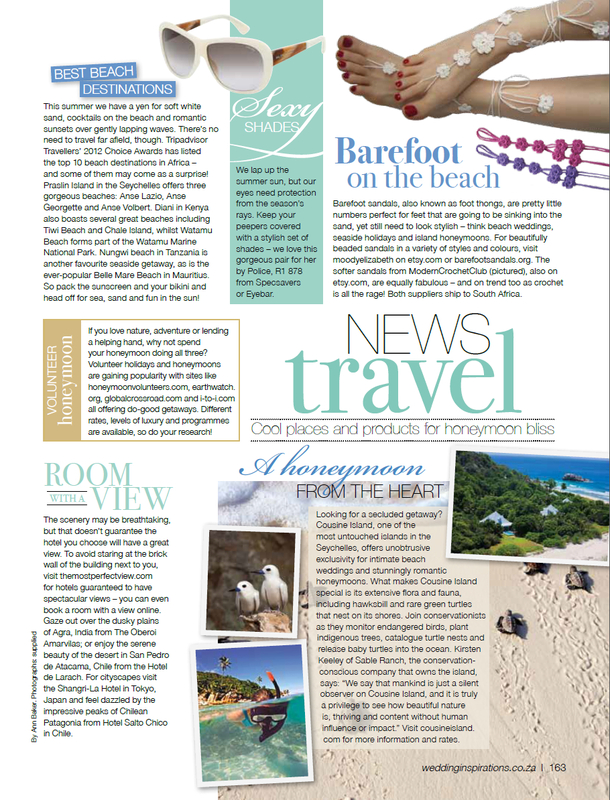 I decided to do that and that is how it got to Brides Niagara 2013 Luxury Issue. 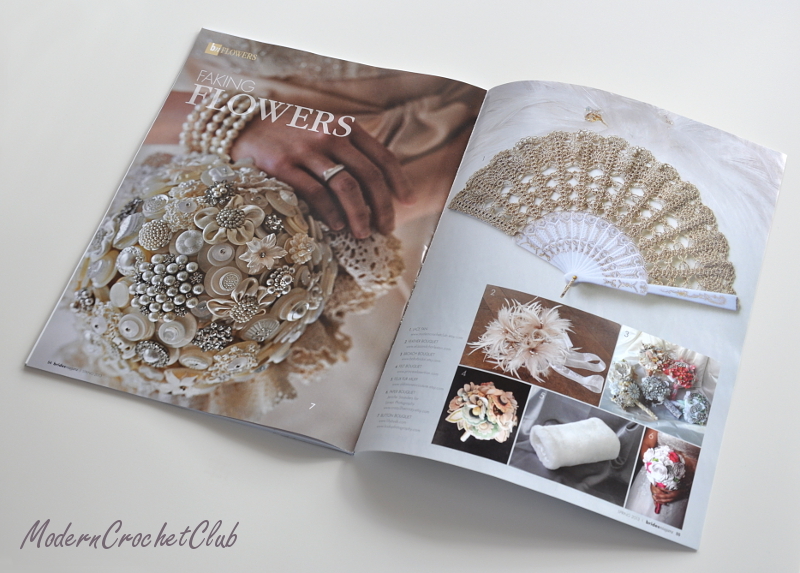 Rachel deserves a big THANK YOU, cause it looks great in the issue between other alternatives to flower wedding bouquets.